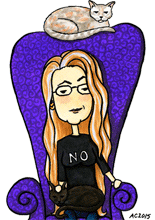 I was having trouble thinking of something good to do for Y, when the lovely ladies in the Starship suggested what was to them the obvious solution – yarn! I got a skein of handdyed cotton yarn from the wonderful Blonde Chicken Boutique, and then set to work. 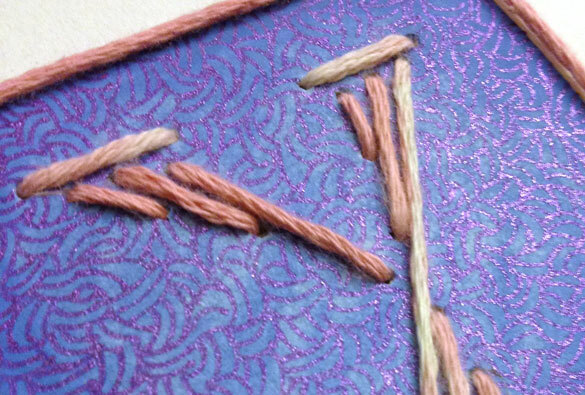 She sent me this gorgeous variegated light pink, so I used my favorite periwinkle paint and purple gel pen to create a background that looked like a tangle of yarn, then embroidered in the letter and border with the lovely pink yarn. I glued the paper to a cardboard backing so it wouldn’t tear through, and now it’s all ready for your favorite knitter, Yael or Yakov. 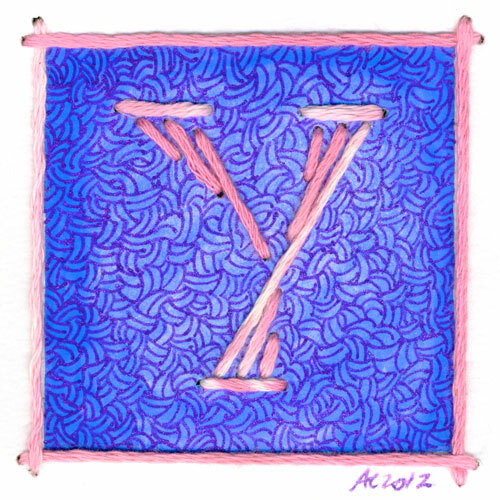 Y is for Yarn, 5″x5″ handdyed yarn, Japanese watercolor and glitter gel pen on paper and cardboard. Above, you can see the shine of light off the purple glitter, and the textures of real and imagined yarn juxtaposed on the mottled periwinkle background. Below, the Y is hanging out with W and A to make WAY on my desk.